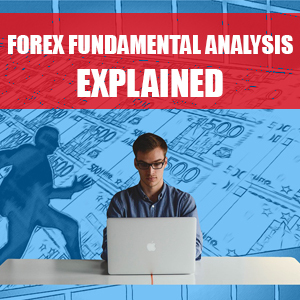 In this post I will be giving a brief overview on fundamental analysis by explaining exactly what it is and how you can start successfully applying it to your forex trading. Whilst fundamental analysis can be a good thing to have in your trading arsenal, it should only be part of a much larger trading plan that incorporates other factors such as good forex trading discipline and good forex money management. Even with the best fundamental analysis in the world, you would still need to be disciplined and have sensible money management in place. You can also include technical, price action and sentiment analysis to further filter your trading decisions. Fundamental analysis in the forex market is analysing economic factors that can affect the forex market. It is usually conducted by studying news releases that can impact market movements. How do I use Forex Fundamental Analysis in my forex trading? The primary way to use fundamental analysis when forex trading is to follow the latest and upcoming news releases. This can be done by referring to a forex news calendar. News releases are usually filtered by low, medium and high impact news. If you are aware of forex news releases you can avoid getting caught out on big moves you would otherwise not have expected. However, some forex traders use news releases to their advantage if they are following a news trading system. The problem with such forex trading systems is that forex brokers tend to increase spreads around news releases and trades during these times can be susceptible to a lot of slippage. This can make news trading a frustrating and inconsistent strategy. You can discover forex news releases by using a forex news calendar on your charts or by referring to a forex trading website that provides an economic calendar such as this one at Forex Factory. What platform can I use to conduct my Forex Fundamental Analysis? As there are many forex calendars freely available online at various forex trading websites, you can use any trading platform that you wish. I would personally recommend the very popular and easy to use MetaTrader 4 trading platform that is free to download from most forex broker globally. You will also find that most forex calendar indicators have been developed to run in the MetaTrader 4 trading platform. What are the advantages of Forex Fundamental Analysis? When you know what forex news releases are coming up you can do a number of things. You can decide to stay out of the market or exit an existing trade to avoid any potentially dangerous big moves. This has been evident recently with Brexit causing very volatile conditions on the GBP pairs. You may also decide to place a trade in the direction your fundamental analysis of news releases anticipates the market will move. Most forex economic calendars will show you the expected impact on the market which can be a good indication of how the news being released will impact the currency pairs involved. What are the disadvantages of Forex Fundamental Analysis? The main disadvantages of using news releases for your fundamental analysis is that they can be very unpredictable and difficult to trade. The anticipated economic impact of a news release could be completely opposite to reality when the news is released. Even with a stop loss in place to protect us against being on the wrong side of a news trade, it may not be executed if the market moves too fast. For the best possible news trading conditions, I would recommend a true ECN forex broker. Whilst news releases cause fast market movements, this can also make it difficult for trades to be executed manually. It also means that trades are more likely to be prone to slippage. Forex Fundamental Analysis vs Other Analysis: Which is best and why? Fundamental analysis is a great thing to be aware of as it can keep you out of trouble. If you were trading your forex system without being aware of on upcoming news release it could cause an unnecessary loss. For example, if you were planning to take a buy trade on the EURUSD but there was an economic news release that would cause this pair to go significantly down, you could be taking a loss that you otherwise would not have if you were following a news calendar. It is a good idea to conduct fundamental analysis alongside your technical analysis, price action and sentiment analysis. As always, you should make sure that you have good trading discipline and money management in place. Previous Previous post: What is Forex Technical Analysis and how to apply it to forex trading? Next Next post: What is Forex Price Action Analysis and how to apply it to forex trading?